Kinergy Eco's Fuel Saving Technology was developed by combining new materials, such as nano-scale silica particles, using new mixing technology. These technologies help improve both fuel efficiency and wet braking performance. 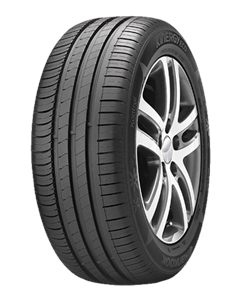 This tyre was designed to satisfy customers riding comfort as well as maximizing fuel efficiency. This combination of comfort and efficiency was made possible through the use of Hankook's vibration control technology.